In most cases, the hardest part about fixing a Mercedes Benz 280 is trying to locate the Mercedes Benz 280 Parts you need to do the job. Ordering Mercedes Benz 280 parts through an automobile dealership can sometimes result in long waits and excessive costs. But, by using an online parts locator service like UNeedAPart.com, you can be instantly matched up with the parts suppliers who have the Mercedes Benz 280 parts you need right in stock. And with the 7,000-plus parts suppliers within our network, you've never had a better opportunity for locating your parts. 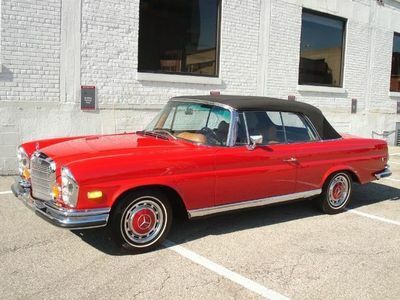 New or used, UNeedAPart.com can locate exact parts necessary for getting your Mercedes Benz 280 rolling again. Are you a repair shop owner looking to maximize your parts availability as well as your profit margin? Are you an auto enthusiast who loves performing your own repairs? Or maybe you own a body shop business? It doesn't matter! UNeedAPart.com can help you locate the Mercedes Benz 280 parts you need to do your job right. Mercedes Benz 280 Accessories and even hard-to-find Mercedes 280 Engine parts can now be easily located through the powerful network supplied through UNeedAPart.com. Enjoy ease-of-use, convenience and a huge selection by taking advantage of the parts locator services offered by UNeedAPart.com. Finding the right Mercedes Benz 280 parts is easy! To get started, simply use the Parts Request boxes at the top and/or side of the page. You will instantly be matched with auto parts dealers that meet your search criteria. UNeedAPart.com helps you find the new or used auto body parts you need in no time!